I made this keto Stromboli from a modified version of my pizza crust recipe, which is based on fathead dough. Yes, this recipe has vital wheat gluten in it, but unless you are allergic to wheat gluten or have celiac disease it is fine for keto. 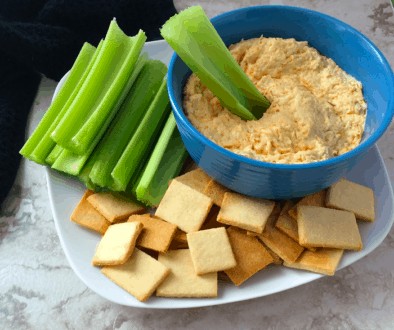 Vital wheat gluten is a protein that is in many vegetarian items including seitan. For the Love of Pizza!!!! 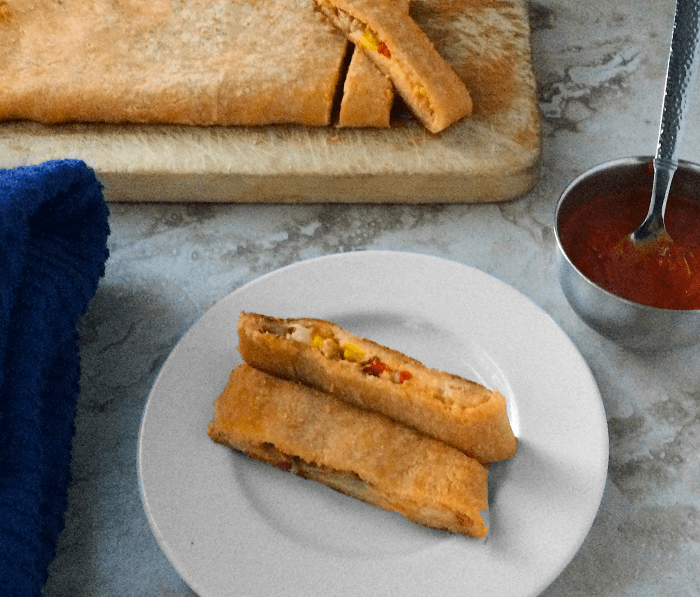 A stromboli is like a calzone only less work. Instead of making individual calzones I would rather make one long stromboli and then just cut it up into slices. It is a cross between a sandwich and a pizza, it may lean one way or the other depending on what you put in it. I doubled this recipe and made one that was pepperoni, sauce, and mozzarella, while the other one was pepper jack cheese, sauce, peppers, and onions. However, you can put whatever you like in it. For instance, I made one once that had ham, cheese, and mustard, it was delish. Nutrition for the recipe is on My Fitness Pal just search Certainlyketo-Keto Stromboli. The nutrition listed on My Fitness Pal and in the recipe is for the dough ONLY. Please, add the items you stuff it with separately to My Fitness Pal. 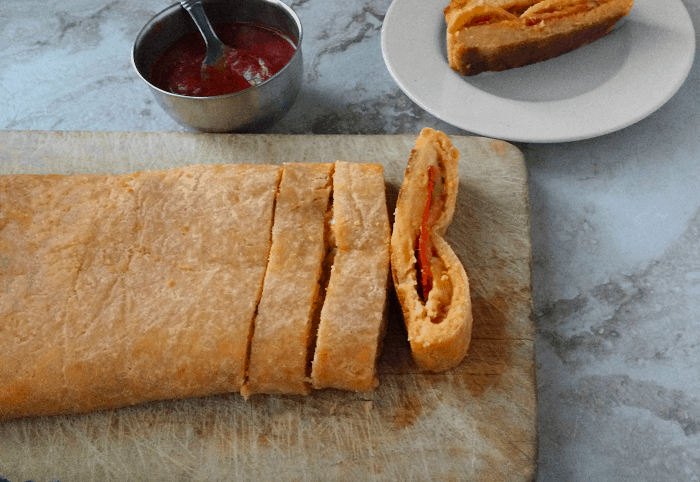 This is a delicious keto stromboli that the whole family will love. It can be made ahead of time and then just pop in the oven and dinner is done. In a microwave safe bowl place cream cheese and shredded cheese. Heat in microwave at 30-second intervals until the cheeses are melted enough to mix together and it pulls away from the sides of the bowl. Add sour cream and mix (this will cook down the cheese before adding the egg). Whisk the egg, add to the mixture and mix well. Mix in almond flour, coconut flour, and wheat gluten until fully incorporated and it makes a dough. Put a piece of parchment paper on the counter. Place the dough on top of the parchment paper and then add another piece of parchment paper on top of the dough. Roll out the dough (between the parchment papers) into a rectangle. Try to have the dough amount the same thickness in all areas. Don’t make it too thin. Mine was about 15 inch by 12 inches. The yield will be different based on how long the stromboli is. Remove the top parchment paper and add whatever you wish down the center of the dough. Leave enough room on the ends and both sides so you can pinch the ends and fold over each side to the middle and pinch shut. After adding your marinara sauce, meats, and cheeses, fold each side of the dough over the middle. You can use the parchment paper to help pull it over the middle. Do this with both sides. Pinch the ends to seal them. Pinch the seam of the dough to seal the rest of the stromboli. Wrap up, in either parchment paper or cling wrap, and place on a cookie sheet in the refrigerator for at least an hour. This can be made a day ahead of time and left in the refrigerator overnight, for a quick and easy dinner. Take the stromboli out of the refrigerator, remove the parchment paper (or cling wrap) and place back on a parchment lined cookie sheet, seam side down. Melt butter in the microwave and add minced garlic. With a pastry brush, brush the stromboli with the garlic butter. Bake for 20-25 minutes. Let cool for 5 minutes before cutting into slices. Please note that the nutrition is just for the dough and not for any of the items put inside the dough. Adding vital gluten to nut and seed flours is a brilliant idea. I’ve been making keto pastry for years and only came across this idea through your site and I’m a convert. Its a delicious way to get the perfect taste and texture….all the best part of wheat flour without the carbs. 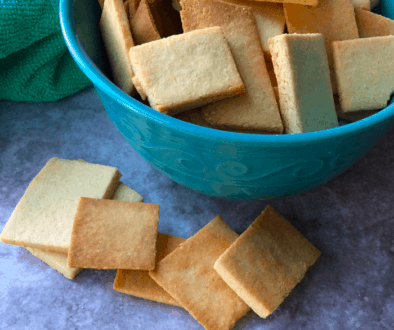 These recipes are great and i can’t wait to try this addition in many of my other keto baking and pastry recipes. Only a few people are sensitive to gluten I think….I have no problems whatsoever, except I have trouble limiting myself to just one or two servings!! !